WHY PITTSBURGH? There’s a revolution happening at your doorstep. We sat down with John Battelle and Stacey Foreman, Wired Magazine veterans and co-founders of San Francisco-based event/media company NewCo, to talk about why Pittsburgh is America’s new “it” innovation city, and why Thrival Innovation is experiencing major growth in 2017. First off — who are you, and what are you doing here? 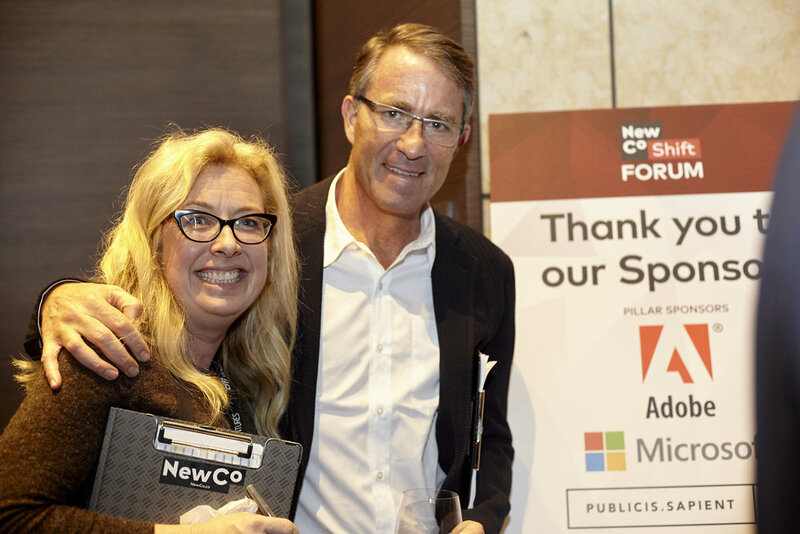 We’re John Battelle and Stacey Foreman, founders of NewCo, a new kind of events and media platform that celebrates new approaches to business. We identify and connect new kinds of companies (hence the name) large and small, with a particular focus on mission-driven organizations. We came to Pittsburgh at the invitation of several colleagues, and we were both impressed with the vision and resources of the city’s civic leaders. So much so, that we’re partnering with Thrival to bring a bit of the NewCo vibe to the city! What attracted you to the Thrival partnership, and what do you hope to bring to this year’s experience? Thrival is built into the fabric of Pittsburgh, and know how to connect the dots between key institutions – government, business, startups, academia, foundations. Thrival understands the NewCo narrative, and together we’re going to bring dozens of tech and corporate leaders to Pittsburgh to experience what the city is all about and to speak at the Thrival Innovation Festival. We’re also giving them a special tour, a VIP experience at the music festival, and more. Pittsburgh isn’t lacking on hype recently, and the tech and entrepreneurship scene is consistently making national headlines. But what does Pittsburgh need to do in order sustain growth in innovation and become a indisputable hub for entrepreneurship? Hype is one thing, but first hand experience is quite another. Before we visited Pittsburgh, we didn’t really understand what a special, deeply committed place it was. We think the story of Pittsburgh – the roots in the industrial revolution, the strength in academia and business, the closely knit sense of civic pride – needs to be told by new converts who otherwise may never experience it. That’s why we’re excited to bring these deeply networked folks from outside the city inside, to get a firsthand view. Thrival Innovation’s 2017 theme is “Intelligence: Humans X Tech,” which focuses on the relationship between people and technology, and how that is changing society. Where does Pittsburgh fit in this puzzle? Beyond its role as a center for one of the most important technologies in the shift from industrial to informational economics (automation), Pittsburgh is a case study in how a complex social institution can evolve from one economic model to another. It takes committed leadership, a business community that views its responsibility to society as greater than just profit making, and a willingness to try new approaches. We see all of those things in the Pittsburgh community. The next few decades are going to bring extraordinary change to our society once again. Where better to understand that, than a city that’s already made that transition once? Asking you to look around corners, what are the some of the key trends you see when it comes to artificial intelligence, automation, and the future of cities like Pittsburgh? As a society, we’ll have to have intelligent, facts-driven, rational discussions about how best to manage these technologies and their impact on our citizens. We can’t afford to ignore their impact, and we can’t shy away from our duty to understand what society might look like in an age of abundant intellectual labor driven by AI and automation. These are deep, difficult questions – should we embrace some kind of universal basic income? What gives us meaning if traditional “jobs” become scarce? How do we apportion value when massive companies control most of the means of production? No matter what, cities like Pittsburgh will be where these questions are asked and answered. By convening leaders from across business, tech, government, and beyond, Pittsburgh is poised to be the leading example of how to tackle these issues head on. If five questions aren’t enough for you (and they shouldn’t be), attend Thrival Innovation this September 27-28 in Pittsburgh, PA, as we explore “Intelligence: Humans X Tech.” Learn more at thrivalfestival.com and follow us on social media @thrivalfestival. Thrival Innovation passes are on sale now at thrivalfestival.com.